Respondus LockDown Browser is a secure browser for taking assessments (quizzes, tests, exams, etc.) in Blackboard. It prevents you from printing, copying, going to another URL, or accessing other applications during an assessment. If a Blackboard assessment requires that Respondus LockDown Browser be used, you will not be able to access it with a standard web browser. Respondus LockDown Browser should only be used for completing assessments and should not be used in other areas of Blackboard. Respondus LockDown Browser should already be installed on most lab computers at UCA. To download and install Respondus LockDown Browser on a personally-owned computer, click below. NOTE: Respondus LockDown Browser provides a custom interface for the Internet Explorer (Windows) or Safari (Mac) software that is already installed on the computer. It does not modify an existing copy of Internet Explorer or Safari, but rather, installs a separate program that displays a custom browser when it is started. 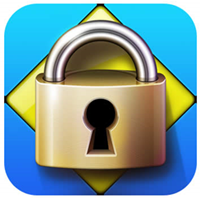 Respondus LockDown Browser uses the same security features and service packs that are currently installed for Internet Explorer or Safari. Installing Respondus LockDown Browser will not modify your current version of Internet Explorer or Safari in any way. Students can access the Help Center from the toolbar in LockDown Browser. Within seconds, you can run a system and network check on the computer, giving immediate information about what might be wrong.